Pet owners today are looking for premium pet food packaging that is easy to carry, seal and store. Pet food manufacturers look for high quality printing and package materials. 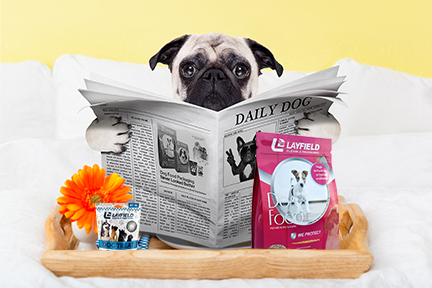 Your packaging deserves Layfield pet food packaging and rotogravure printing - the highest definition printing available. Many of our customers have seen significant improvement of their print quality and color by making the move to Layfield Rotogravure printed packaging. With customizable film structures and bag features, Layfield can provide you with the perfect package that will add value to your brand.